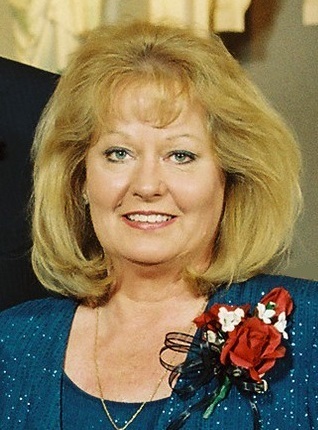 Jane E. Poss, 69, of Montello passed away peacefully on Saturday, April 6, 2019 at Agrace HospiceCare in Fitchburg surrounded by her loving family after a brave battle with cancer. She was born the daughter of Walter and Margaret (Lewis) Fandrich on August 30, 1949 in Dodgeville. She attended school in Madison and graduated from West High School in 1967 and UW-Whitewater in 1971. Jane raised two boys and was a successful businesswoman. After college, she worked at Cuna Mutual Insurance. Her next opportunity was with North Central Group. Starting when the company was first developed; Jane assumed increasing responsibilities over the years eventually stepping down as Vice President. Prior to Jane’s retirement, she was a mortgage lender for Metro Mortgage. Jane married Richard Poss in 1986. They lived in Waunakee and enjoyed watching the boys grow up participating in high school sports. After retirement, Jane and Richard moved to their home in Montello. Family was most important to Jane. Jane was an excellent cook and enjoyed preparing meals for her family and friends. In addition, she enjoyed playing euchre with her friends at the American Legion, and spending time with Richard at the lake. Jane enjoyed the Montello community and was an American Legion Auxiliary member of Post 351. Jane is survived by her husband Richard, sons: Jason (Rebecca) Meyer of Oregon, and Jonathan (Tiffany) Meyer of Windsor; grandsons: Riley, Logan, James and Mitchell. She is also survived by her siblings: Mary (Gene) Blabaum of Madison, James (Jean) Fandrich of Hewitt and niece, Amy Reineke of Alexandria, MN as well as sisters-in law: Sue (Jack) Vance, Patricia Craddock and Janet Poss. Jane was preceded in death by her parents and nephew, Michael Kraemer. A memorial service for Jane Poss will be held on Tuesday, April 16, 2019 at 11:00 AM at the Crawford Funeral Home in Montello. Visitation will be held from 9:30 AM until the hour of service. Pastor Julie Krahn will officiate and inurnment will be private. In lieu of flowers, donations are preferred to Agrace HospiceCare, 5395 East Cheryl Parkway, Fitchburg, WI 53711. Jane’s family would like to thank Agrace for all their care and emotional support.